I was given this book to read in exchange for an honest review. First of all, I was interested in how very unlike the normal romance story this one seemed. It's what originally drew me into it. Too often do I read a book and it's the same as so many others on the market - which he actually brings up in the book. That part made me laugh. This is not like anything I've read before. As an aspiring writer, I actually enjoyed how real and honest the author was about the world of indie publishing. This included the author's cut of a sale, dealing with bullying, and other things many readers never think about on this side of the book. That being said, I did have my issues with it. Not that it was bad. There was just something a little hard to get into at some parts, plus the editing is a little rough. Although, I did enjoy it as a quick and easy read. It's something the typical romance reader is probably not looking for - but something they'd enjoy if they picked it up. I didn't feel like I was reading something an author created to please a reader, with hollow relationships and cheesy lines. Instead, it was much more realistic. For that, I was pleased. All and all, I give Non-Friction 4 out of 5 platypires. 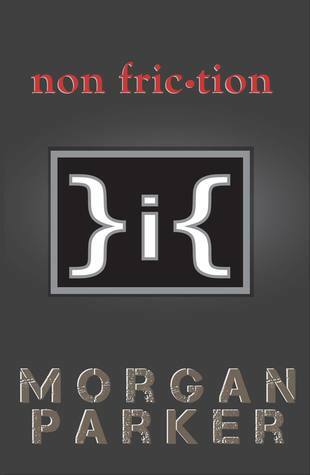 Sign into Goodreads to see if any of your friends have read Non Friction.